Are you ready to know who the winner of the Bei Fiori Giveaway is? Who wants the $25 shop credit? And who was commenter #28? It was Michele P. who said: Congratulations Michele P.!!! 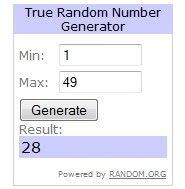 You have 48 hrs to claim your prize! Email me or comment here and then I will pass your info on to Marilyn. awesome! thanks so much :) email is micaela6955 at msn dot com Have a wonderful weekend!